The Aesthetics of Composition in Abstract Painting: Artwork of the month: The Death of Germanicus. From Minneapolis to Maui, this is about my life as a professional artist. 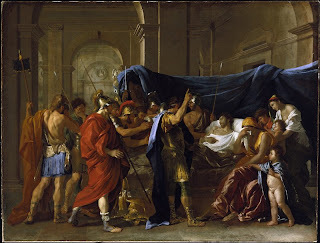 Artwork of the month: The Death of Germanicus. There are parts of human history that I obsess one simply because they reveal a portion of truth about the nature of mankind, as to what we are capable of. I like to paint these important events in history, repurpose them and link them compositionally to a historical work of art about the same event. Nicolas poussin did the same thing here. 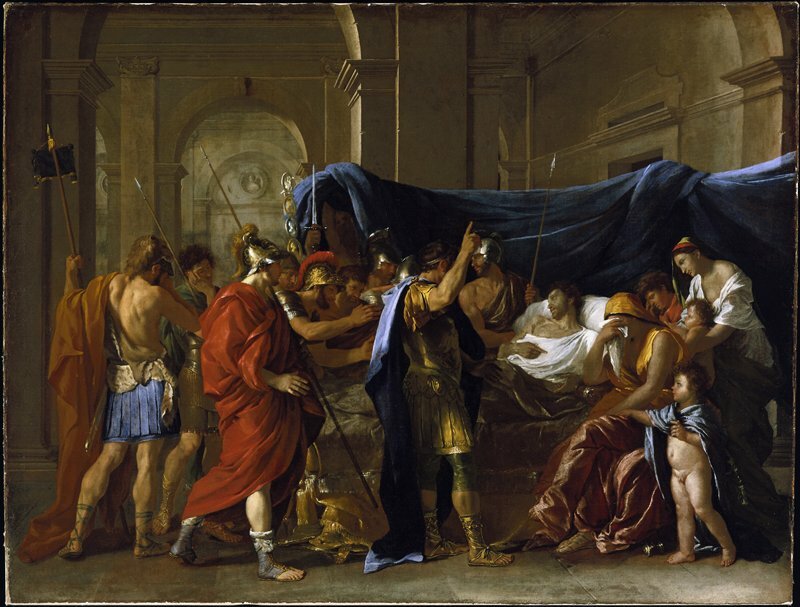 Poussin took the history of Germanicus's murder and used as a compositional model a sarcophagus from Rome. Brilliant conceptual, compositional oil painting; Albeit there are so few that can and will connect the dots to read this painting as it was intended to be read by Poussin. This oil painting is a Masterwork example of compositional oil painting. Go spend some time reading its imagery at the Minneapolis Institute of Arts. ...fear always has and always will destroy mankind's future. All content (photos, artwork and text) are copyright © protected and are the sole property of Adam M. Considine and may not be reproduced in any manner without express written permission. All content copyright © protected and are the sole property of Adam M. Considine. Awesome Inc. theme. Powered by Blogger.